Mohammed Saaidia obtained his B.Sc. degree in Electronics in 1991? his M.Sc. degree in signal processing in 1994 and his PHD degree in image processing in 2016 from the University of Annaba, Algeria. He worked as a lecturer at the Electrical Engineering Department within the university of Tebessa, Algeria from 1994 to 2012 then at the university of Souk Ahras. 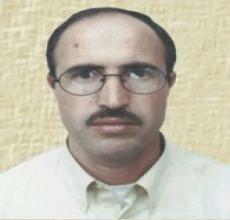 He was a research fellow within the IBISC laboratory at Evry-Val-d‟Essone university (France) between 2005 and 2007. His research interests are in signal processing, pattern recognition, face detection and recognition and face expression recognition.